Within our extensive council, which is Llanes you can reach all these places where the mountain and the sea are within walking distance and from different places of the cliffs you can see the Naranjo de Bulnes in the Picos de Europa. Facing south, Tresgrandas is an agricultural and livestock town; Is inhabited by 54 inhabitants. The set of houses that form the town reflect the popular Asturian architecture, where they mix mansions, typically agricultural houses and a Palace of Santa Engracia, which is in ruins. It has a beautiful church, dedicated to Saint John the Baptist. It is celebrated the feast of San Juan in which its traditions are observed as they are the plantation of the “bonfire” and its traditional “Ramu”. Nowadays, the Church has been renovated, recovering ruins and turning the place into a beautiful Children’s Park and rehabilitating the “Bolera”, which is why this traditional game is again booming among the villagers. 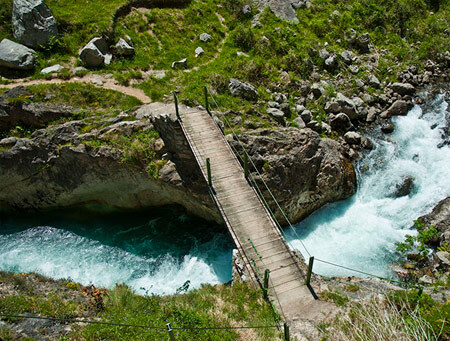 In the council of Llanes, extends a succession of soft beaches of fine sand and crystal clear water and for the lovers of the natural this is an environment environmentally exemplary and proof of this are the six Biosphere Reserves declared by Unesco in the Principality. We can also find churches of Gothic style, Romanesque and buildings of Renaissance style. Here are some of the most beautiful routes in our area. The council of Llanes, has the largest and best set of beaches in Northern Spain. The Cantabrian Sea has created on the coast some of the most picturesque natural attractions of the Costa Verde. The Picos de Europa are a mountainous massif located in the north of Spain that belongs to the central part of the Cantabrian mountain range. Although not very extensive, its proximity to the sea makes it abundant in geographic features of great interest. Mountain landscapes, the ideal habitat for any nature lover. Let yourself be seduced by some routes and magic trails in the Sierra del Cuera, Picos de Europa, Lagos de Covadonga and much more. In the surroundings you can find art and architecture of all time, from caves with cave paintings, houses from the time of the Indians to the most current and modern art. 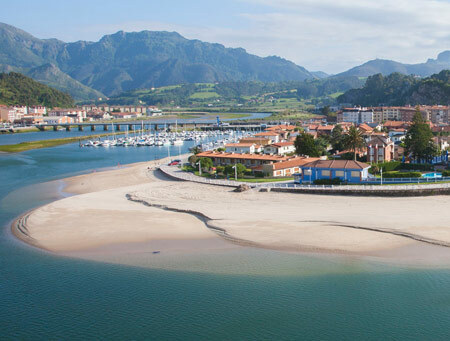 Visiting Llanes means discovering a fundamental part of Asturian history. Its streets, its people, its gastronomy will “move you” to another era and will cause you to fall in love with this beautiful village.